Before you upload your images to Mailchimp, check out these image recommendations to ensure they’ll look great. Our recommendations are based on the type of content block you’re using in your email campaign or landing page. In this article, you’ll learn about our recommendations for images in Image, Image Card, and Image + Caption content blocks. Here are some general tips for your images. Mailchimp’s email templates are 600 pixels wide, so it’s best to size your images with that maximum width in mind. Image size recommendations vary based on the number of columns in your email template. Sizing can also vary depending on the type of content block you’re working with. Here are our size recommendations for images in the Image, Image Card, and Image + Caption content blocks in your email campaign. 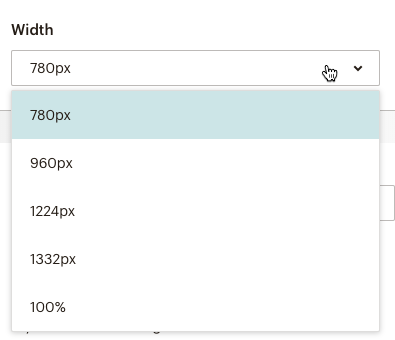 Mailchimp’s landing pages come in a variety of widths, so the ideal image size depends on the width you choose. Before you upload your images to Mailchimp, scale them to the size they need to be to eliminate unneeded pixels. If you set the width of your landing page at 100% images can appear differently depending on the screen resolution of the person viewing your landing page. In this case, we recommend you use larger images. But it’s important to keep in mind that larger images can slow down your landing page. Here are our size recommendations for images in the Image, Image Card, and Image + Caption content blocks in your landing page. To adjust the page width of your landing page, follow these steps. If you have more than one audience, click the Current audience drop-down and choose the one associated with your landing page. Click the draft landing page you want to work with. In the Page Container Style section choose a width. Larger background images will look cleaner on larger screens, but we recommend keeping images between 1500 and 2500 pixels wide. The recommended image height depends on how much content you’ve got in your landing page, but it’s important to keep in mind that larger images can slow down your page. Learn how to upload, edit and delete images in your Mailchimp campaigns and in the Content Manager. Learn about troubleshooting images in campaigns, including common issues and how to fix them.